I plug my iPhone in every night right next to my bed so that it can charge. My goal is, of course, to have it at 100% when I wake up in the morning. But this morning it was only at 4%, which was very strange because it was plugged in as normal. Then I took it to another computer, with my iPhone USB cable, to plug it in. At this point it was now at 4% charged. When I plugged it in, the charge icon lit up (like it was charging) but then would immediately disappear. I unplugged it and then plugged it in several times and the same thing happened – the charge lit up, then immediately disappeared. So I had a problem – my iPhone won’t charge. 1) Hold down the power button (at the top of your iPhone) and the home button (the circle button on the bottom of your iPhone) at the same time. 2) Hold both buttons down at the same time until your see your iPhone reboot. You’ll now your iPhone rebooted when you see your screen flicker off. 3) Now just push the power button only at the top of your iPhone until your iPhone turns on. Now go ahead and plug your iPhone back in using your iPhone USB charger. My iPhone then started to charge as normal. Let me know if this worked, or didn’t work, for you! well it charges but doesnt sync with the computer!!! it worked!!! thanks so much! i was going to take to it in to be serviced! You saved me some money. Great – glad I could help!!! how about if you battery is really empty? 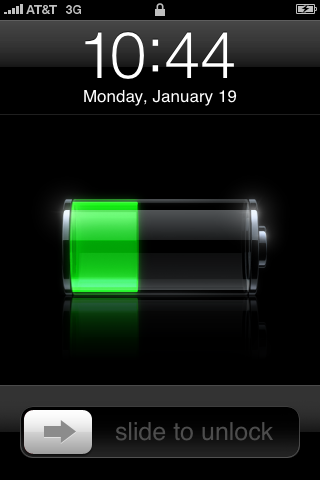 Had two problems with my iPhone: (1) it wouldn’t charge properly, and (2) it wouldn’t turn off using the power button. Holding down the power and home buttons at the same time did the trick. The phone rebooted and now everything is working properly. omg is all ready green im so relief i went an bought a car charger so now i have a car charger i dint bfore i thought it was my charger now i have no lie 3 comp.chrg1 car,chrg….anyways uuuuuuuuuu rock i like u im new at this so i will be using u if u dont mind…..lol…. I’m having the same problem. I holded the power button and the home button at the same time but it won’t do anything. I think the battery is completely empty and i can’t charge it. Didn’t work. Still won’t charge. Thanks that worked for me. Didn’t worknfor me :( my phone has never said reboot when I hit those 2 buttons at the same time. Any other suggestions? I tried and it did not work for me. I took it to a repair shop and had the battery replaced. Now, I’m working. will it delete anything on your phone??? excellent, worked for me. thanks. I have to keep rebooting my phone in order for it to charge. Any ideas on how I can get it back to normal?? With my 5c I was having problems with the phone recognising the charger or staying on charge once plugged in. I tried replacing the charger and all the rebooting techniques. Before I sent it to apple for repair I decided to have a little dig around the charging port with a sewing needle. Low and behold the socket was full of dust and fluff, I could not believe how much was jammed up there. My phone now charges perfectly.